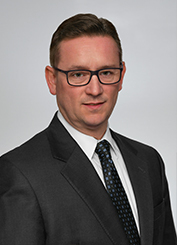 Mason L. Capitani is an Executive Vice President and a Principal of L. Mason Capitani CORFAC International and he is a Director and Principal of the firm’s property management arm, Liberty Property & Asset Management. He serves on the Executive Management Team that directs all aspects of brokerage and property management services for the firm and he works tirelessly to build on the legacy that was put in place by his father and grandfather. During his tenure the firm has dramatically expanded its scope of services to include the acquisition, disposition and management of office, medical, industrial, flex and retail properties. In addition to his role in directing the firm’s daily business operations, Mr. Capitani is also a working broker. Initially licensed in 1988, he has facilitated in excess of $750 million in sales and leasing transactions over his career and he personally directs a listing team that represents over 120 individual properties totaling in excess of 5 million square feet of space. Mr. Capitani has devoted his time to furthering the commercial real estate industry in Michigan by serving as President of the Michigan Chapter of the Society of Industrial and Office Realtors (SIOR) in 2007 and as President of the Commercial Board of Realtors (CBOR) in 2013. He is a graduate of Ohio University in Athens, Ohio with a Bachelor of Business Administration.